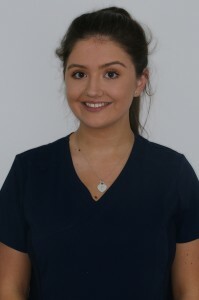 Philippa joined Scott Arms Dental Practice in 2018, after graduating with a BSc in Dental Hygiene and Therapy from the University of Birmingham. Whilst studying at university, she treated a wide range of patients in many different dental settings including Birmingham Dental Hospital. From this experience, Philippa has developed a special interest in treating periodontal disease and anxious patients. After graduating university Philippa secured a place on the West Midlands Foundation Training for Dental Therapists scheme to further develop her skills and knowledge. She hopes to do further postgraduate training to extend her range of treatments that she can offer to patients. Philippa works a wide range of hours including Saturdays to help you have an appointment at a time convenient to you. Outside of work, Philippa enjoys socialising with friends and family, crocheting and keeping fit in the gym.